Art of Computer Programming, Volume 4A, The: Combinatorial Algorithms, Part 1 By Donald E. Knuth « Adafruit Industries – Makers, hackers, artists, designers and engineers! 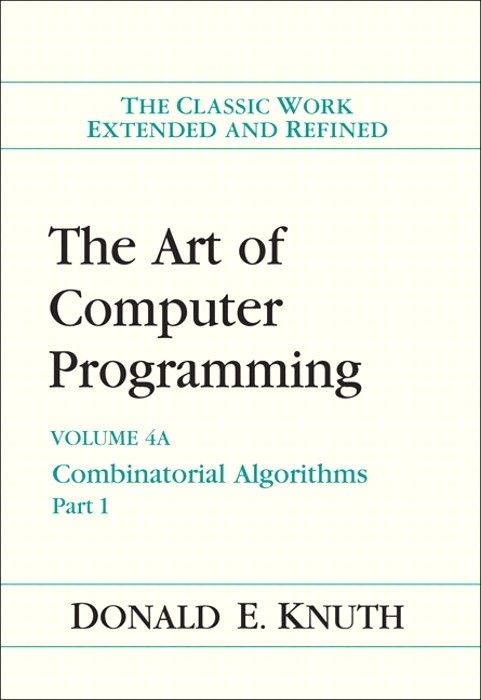 Knuth’s multivolume analysis of algorithms is widely recognized as the definitive description of classical computer science. The first three volumes of this work have long comprised a unique and invaluable resource in programming theory and practice. Scientists have marveled at the beauty and elegance of Knuth’s analysis, while practicing programmers have successfully applied his “cookbook” solutions to their day-to-day problems. Knuth, Volume n has been published, where n = 4A. We don’t stock this, but may later.